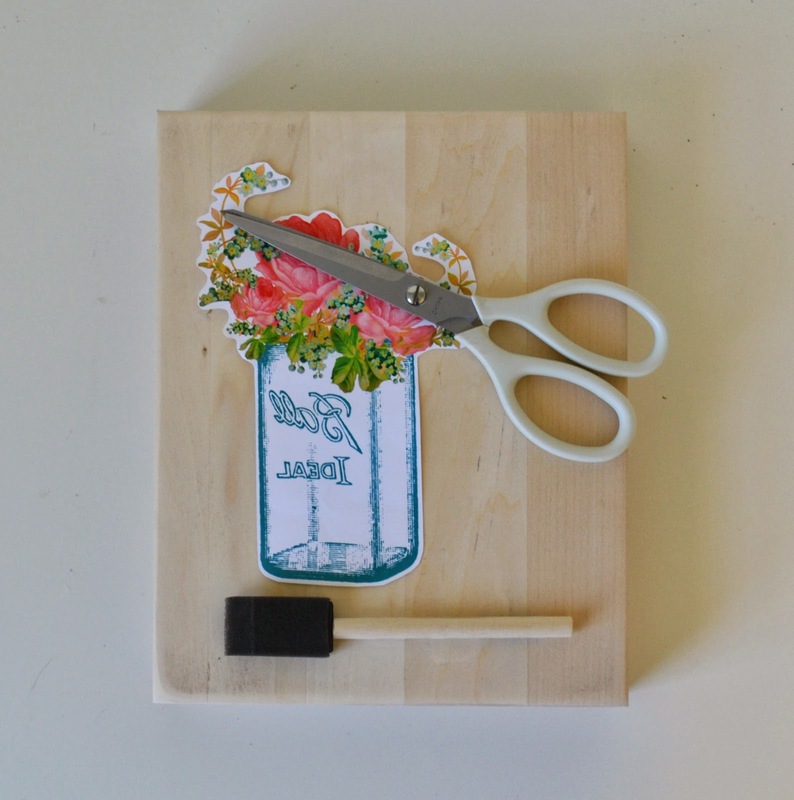 I am so excited to share this fun new product and super easy project with you. 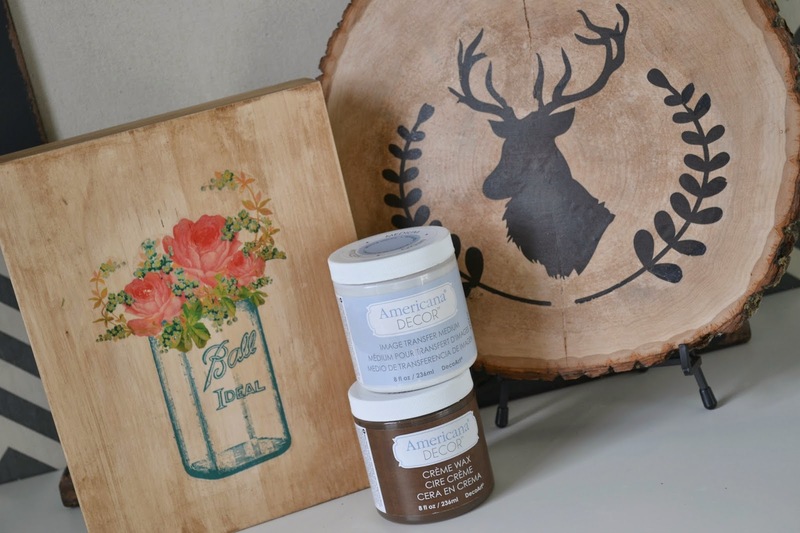 Americana Decor Image Transfer Medium allows you to transfer laser printed photos or images onto wood, glass, fabric and more! 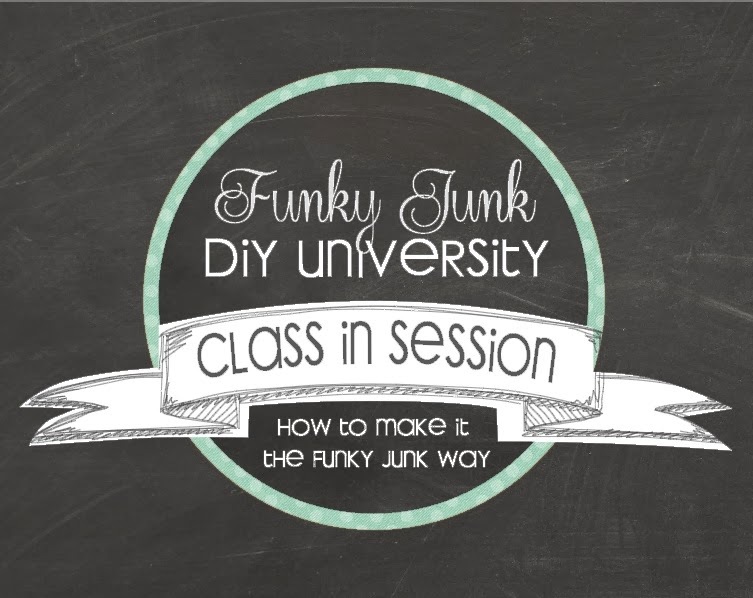 It is a super simple process and can become a little addicting. I was literally looking all over my house to see what else I could transform with this stuff. 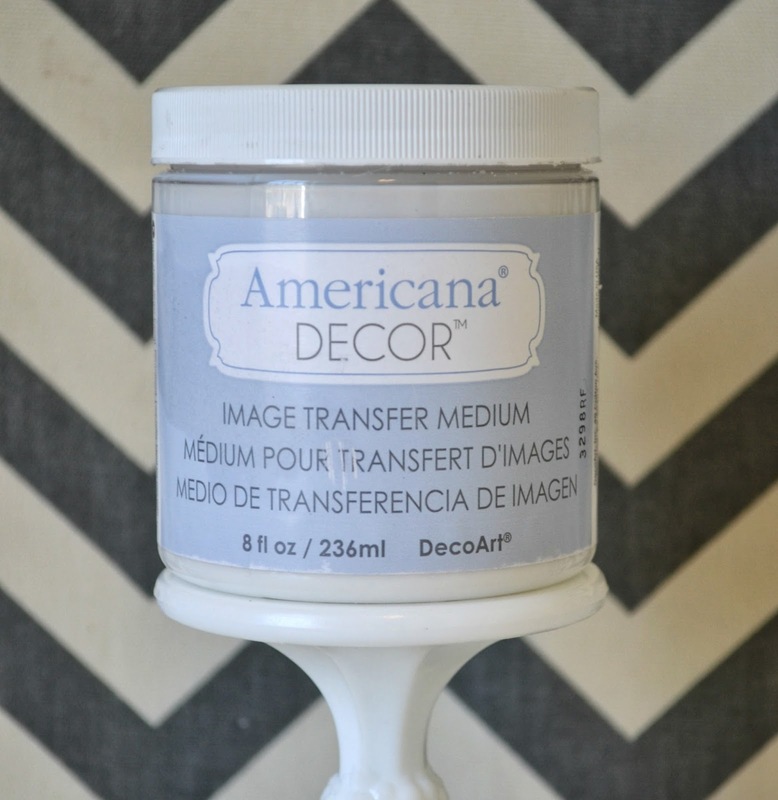 The Image Transfer Medium is available online at Home Depot. Don't worry...it will ship free to the store for you to pick up. You will need to print your image on regular copy paper (not cardstock) with a laser printer. I wanted the print quality to be really good, so I had them printed at the UPS/print store. 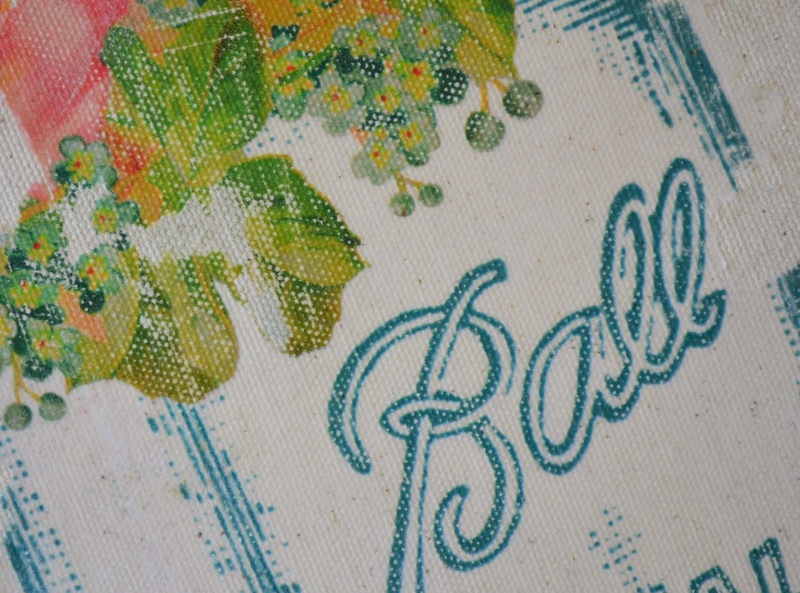 You will notice the mason jar image above is reverse and "Ball" is backwards. This is how you want your image to look. 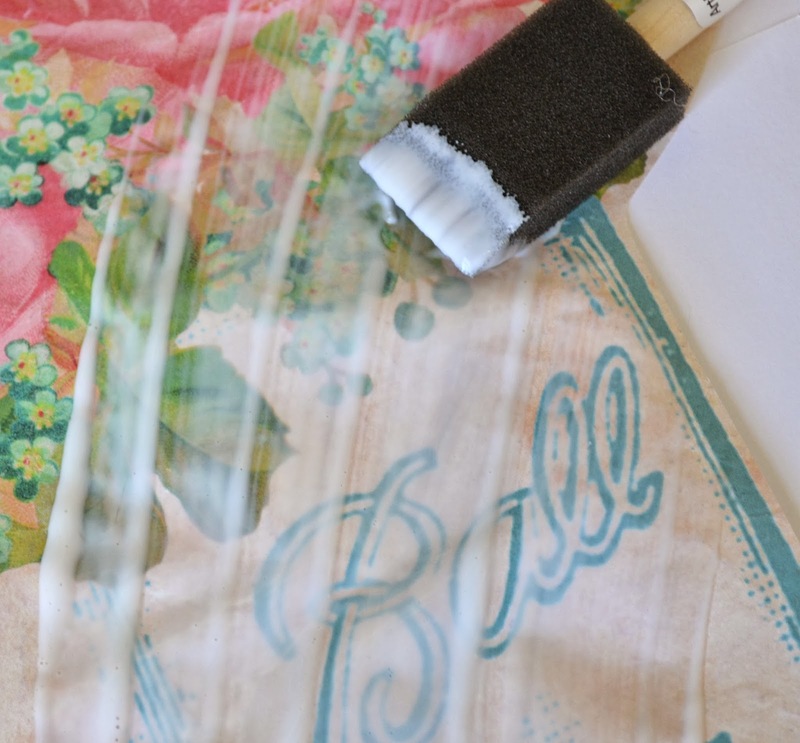 Apply the Image Transfer Medium with a foam brush to the front side of the image. The medium dries very quickly, so you will want to work fast. Place the image face down on the wood. 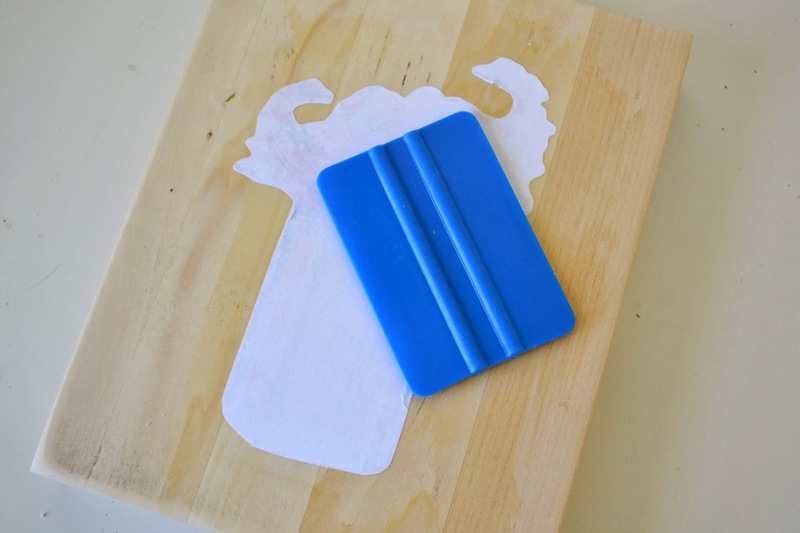 Smooth out the bubbles and excess and make sure the paper is in good contact with the wood. Remove any excess medium. THEN WAIT 8 HOURS!! This is the hard part, but do not try to rush it. I just let mine sit overnight and came back to it in the morning. 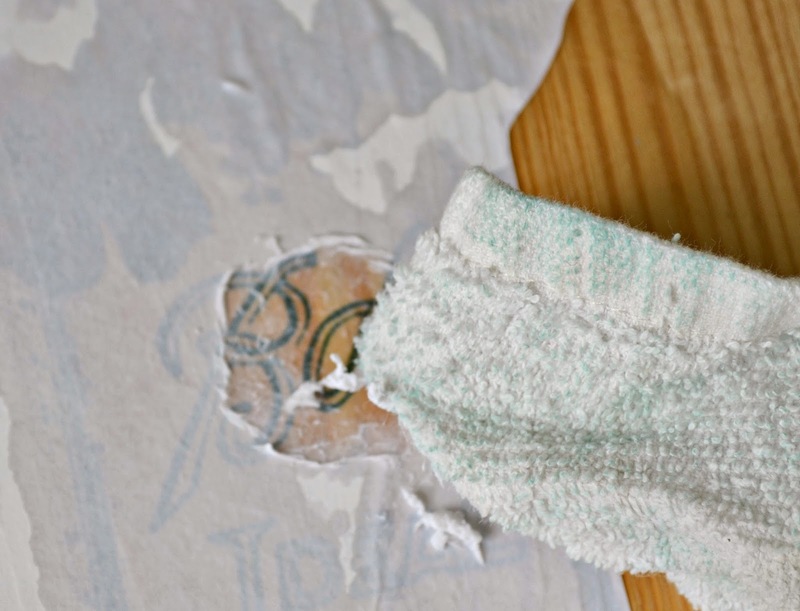 Apply water to the paper with a foam brush and let sit for about 2-5 minutes. This is when it starts getting exciting! Rub the paper with a sponge (I used an old rag) and you will begin to see the image. Be careful not to scrub too hard and remove the actual image. Some places I found that rubbing with my fingers worked better. 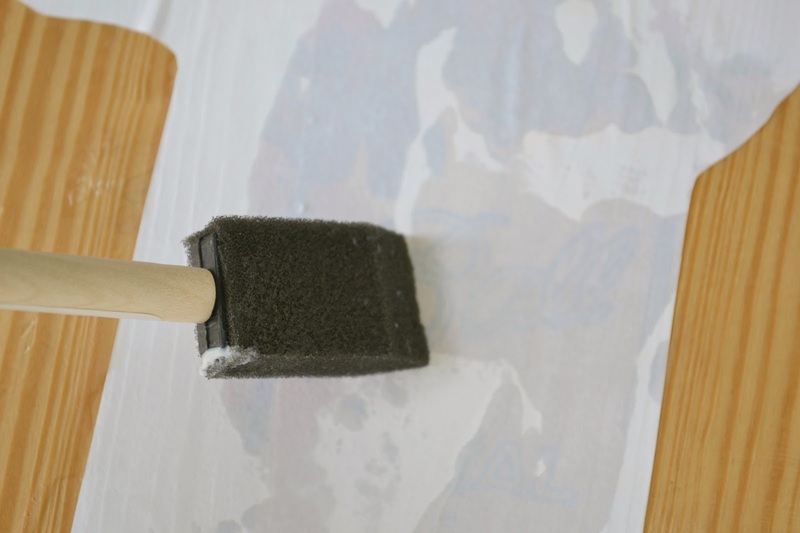 After all the paper is removed allow your project to dry completely and then add a thin layer of the transfer medium as a topcoat. I wanted to give the image a little more of a vintage - aged look so I added a coat of American Decor Dark Wax. Like I said earlier, I got a little addicted and could not stop using this stuff. 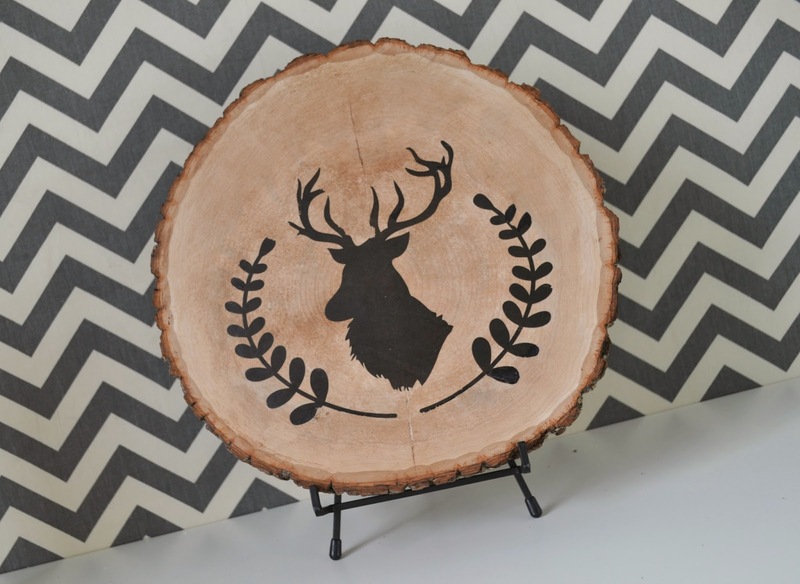 I made the deer image on the wood slice using the same steps. It might be my favorite. BUT WAIT!!!!! There is more. It works on fabric too! Check out the cute pillow I made using the exact same steps you use on wood. 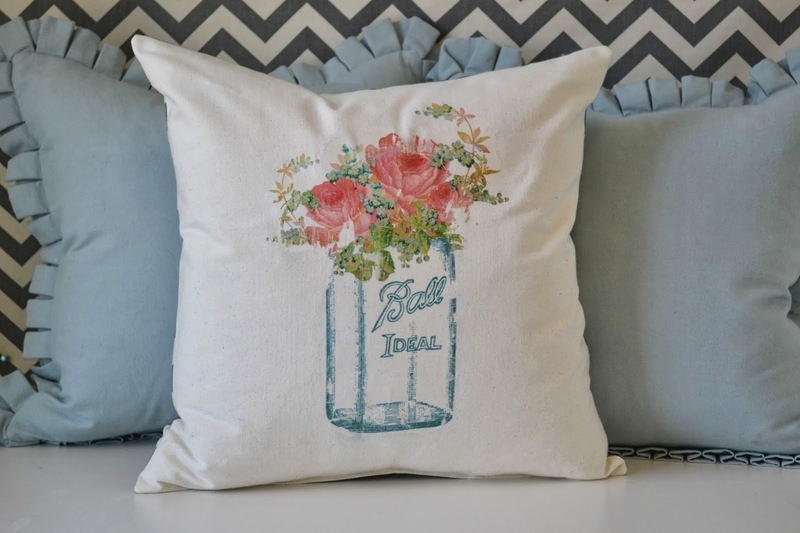 I love the distressed and worn look it gives on the fabric. 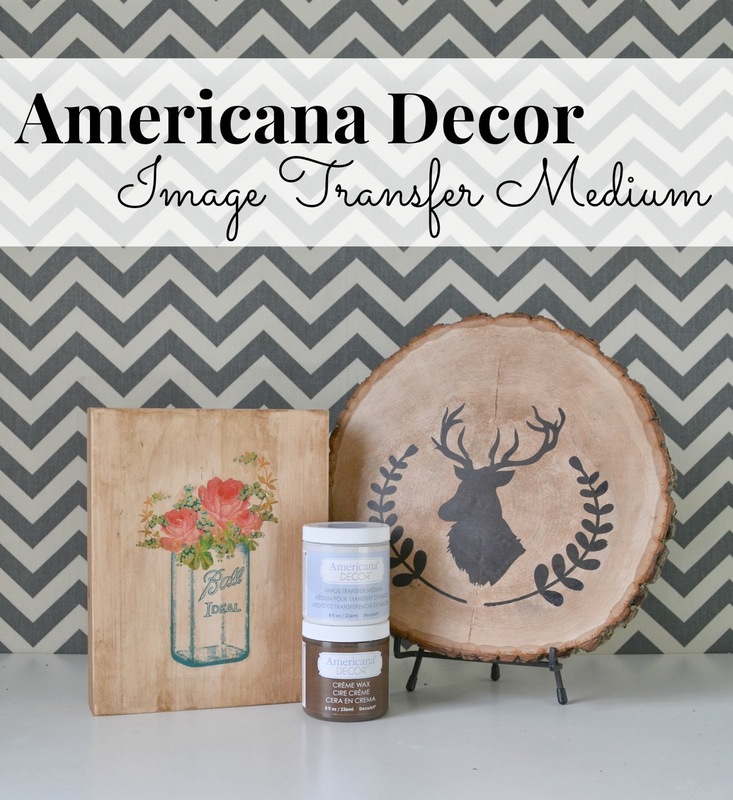 Leave a comment and let me know what kind of amazing projects you plan to make with the Americana Decor Image Transfer Medium. I cant wait to hear all your fun ideas. Can you do this on glass? 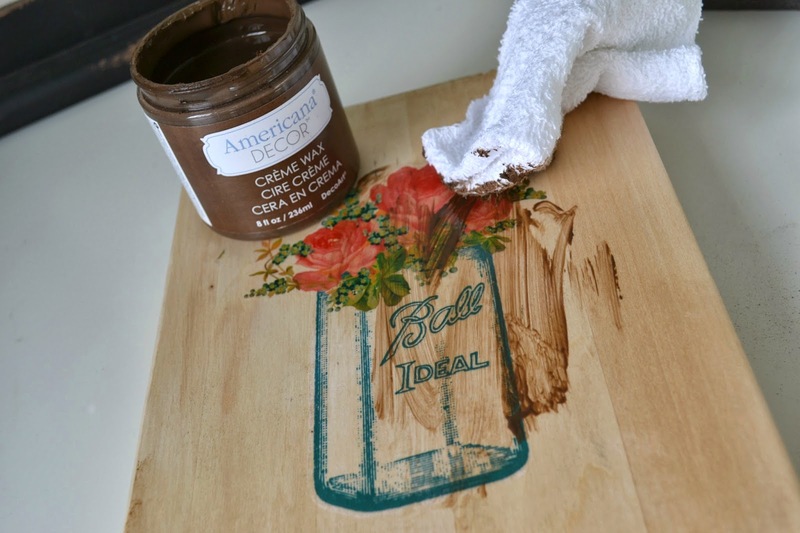 When using on wood Can you use a regular stain over this or does the image transfer leave a waxy film that the stain won't adhere to? 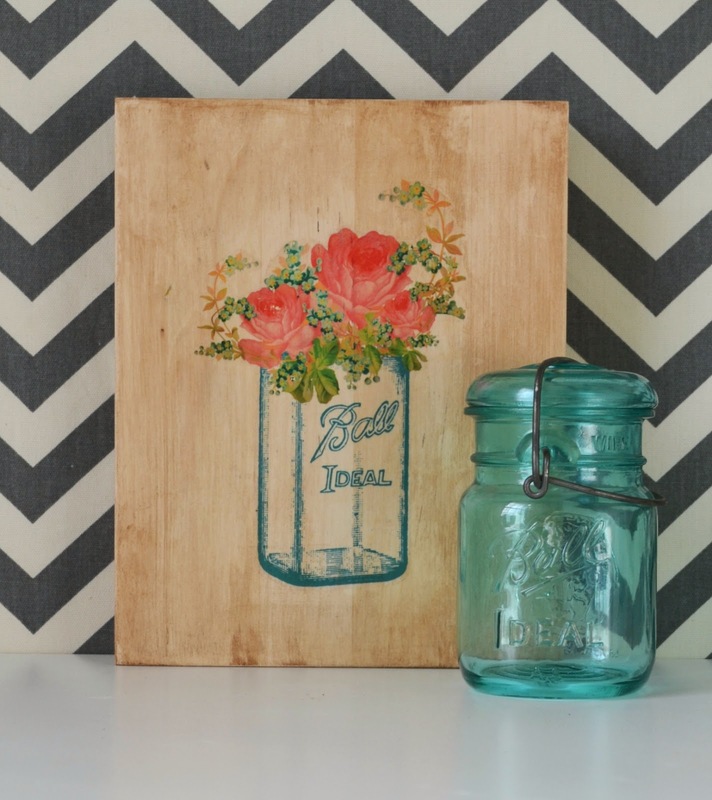 Or can you stain the wood first and then transfer the image? 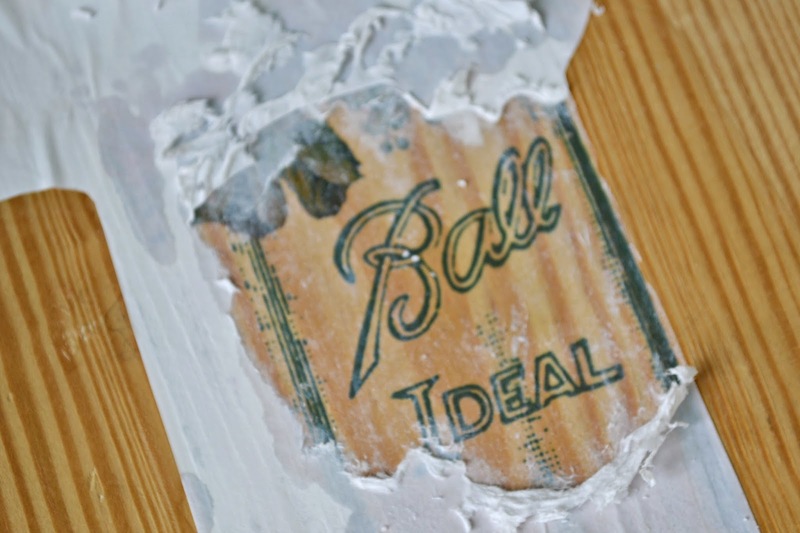 I am wondering if the image transfer medium will work on wood that has a very thin whitewash over it? Does anyone know? Thanks! hi. 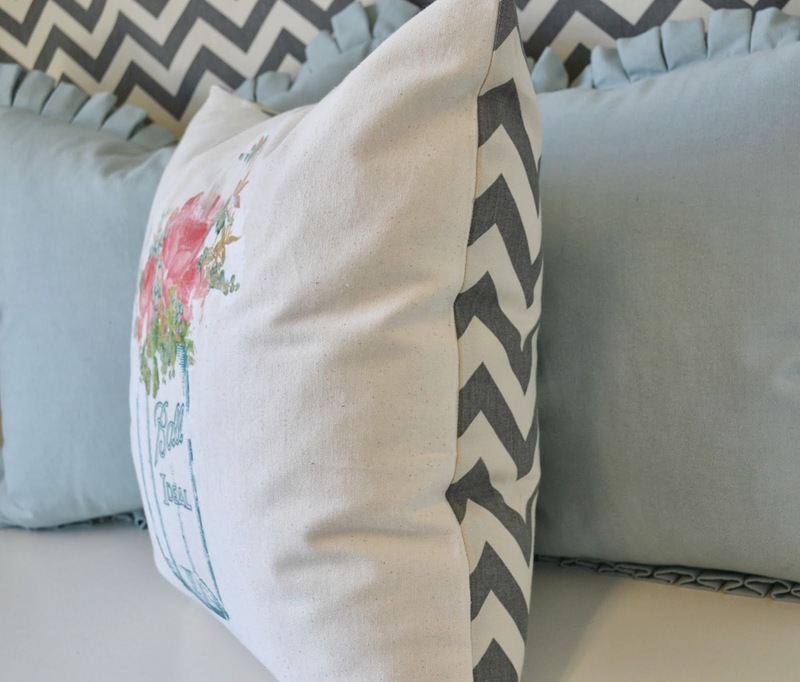 when you transferred to the fabric on the pillow, did you apply sealer or just leave as is?